It’s all rumor at this point, but Bloomberg reported last week that Emirates and Etihad are talking about a merger. This has been the subject of whispers for years, and that’s probably because it makes a great deal of sense. The problem is, there’s ego and politics involved. And when that happens, all bets are off. It sounds like the structure of the deal being discussed would have Emirates take over Etihad’s airline business. (The other parts of Etihad’s business would remain separate.) This would make Emirates the biggest airline in the world based on capacity. While the details of how the airlines would combine and what a route network would look like are certainly not public, it’s not hard to imagine how this should work. In one corner, you have Emirates, the prize of Dubai. Emirates is a profitable airline. Regardless of arguments about subsidy, Emirates is a sustainable business in a thriving global business center, Dubai. In the other corner, you have Etihad, the sickly prince of Abu Dhabi. Etihad had a little brother complex for years. Dubai had Emirates, and Abu Dhabi wanted something similar. Etihad was born in 2003. But Etihad pursued ill-advised strategies. It grew too fast, and most notably, it created an equity alliance where it took large stakes in failing airlines. Reading the list of Etihad’s investments is confusing, at best. The airline squandered millions on Alitalia, airberlin, and Darwin in Europe. Those investments are now worthless. It poured money into Air Serbia and Air Seychelles, small airlines that are still struggling to find their place. And then there’s Jet and Virgin Australia, two airlines with a future, but ones that have gone through serious financial issues. For Etihad as a business, this didn’t make sense at all. But for Etihad as an arm of the Abu Dhabi government, this was an admittedly-poor way to try to pump more traffic into the hub to give Etihad growth. That’s what the state wanted, and that’s what the state got. Emirates hits road blocks every now and then as the economy turns down, but that happens to any airline. Etihad has faced far bigger problems, so it has had to make big changes. Once oil prices went down and state priorities shifted, the questionable investment strategy was cast aside. Etihad has shut down growth and has shed routes that are more unprofitable than others. It has talked about cutting back on aircraft orders, and prospects seem bleak if the goal is to create a commercially-viable airline. That’s not to say it would disappear but rather that it’s going to need government money for a very, very long time. With that backdrop, wouldn’t a merger just drag down Emirates? As long as the government of Abu Dhabi lets Emirates run it like a true business, then that won’t be a problem. Emirates could pull a lot of capacity out of Abu Dhabi which reduces pressure on Emirates globally. Then it can start working on optimizing the joint business. To me, the key here is Al Maktoum International Airport (DWC), part of Dubai World Central. DWC is the giant airport being developed between Dubai and Abu Dhabi. Emirates had planned on moving its operation there from the over-crowded Dubai (DXB) airport in 2025, but there seems to be a focus on trying to keep DXB going for now. But DXB is hemmed in and its growth potential is limited. DWC has no such constraints. Today, the drive from DWC into Dubai is about 40 minutes while the trip to Abu Dhabi is an hour and a quarter. That’s less convenient than the existing airports in both cities, and it’s one reason why DWC has failed to take off. But this is the UAE. It shouldn’t take much to get high-speed rail, hyperloops, flying cars, rocket ships, Star Trek beaming technology, or something else to whisk people from each city to DWC. The idea of consolidating Abu Dhabi and Dubai into a single mega-hub is enticing. A merger would create a single, massive, profitable airline that would be a global powerhouse. So… why shouldn’t it happen? Ego and politics, of course. Forget about the issue of Abu Dhabi technically losing its airline headquarters. Just think about the airport itself. DWC is in Dubai. Will Abu Dhabi be ok with that? Sure, they’re both technically part of the United Arab Emirates, but that is a lot different than, say, being a state in the US. Each Emirate has its own absolute monarch, and there is a lot of pride involved here. Just because something makes sense from a business standpoint doesn’t mean that it’ll happen. There’s always the possibility of keeping a dual-hub system, but that seems like a bad plan. Then again, as mentioned, whatever the countries want, they’ll get. There’s a lot more at play here. On the other hand, having a monarch means that they can do some crazy things. Could they agree to shut down both Abu Dhabi’s airport and DXB and force a move to DWC? Sure. Could they build all kinds of infrastructure to make DWC a convenient option for everyone? Absolutely. They just have to want to make it happen, and that’s the biggest hurdle of all. Competing mega-cities promising to close their airport for one almost-halfway in-between? All I have to say to that is remember Dallas Love Field…. The question I continue to have is, if the two merge, what happens to the brand new, Midfield Terminal at AUH? When completed in the back-half of 2019, it’s supposed to be able to handle 30 million passengers. Does the government just consider this a lost cause and move to DWC? I can’t imagine that happening. Joe – For DWC to really work, they’d have to shut AUH down. I don’t think it’s rational, but then again, there’s little over there that seems rational to me. I don’t see what Emirates gets out of the deal besides reduced capacity. Seems like a lot of money to be lost in absorbing Etihad and reducing capacity when Emirates is doing just fine without them. In fact, they could scoop up additional route authorities, plane orders, 2 well-timed LHR slots, and whatever else they want for free or much less than taking over the whole airline. Better to let them implode. The Abu Dhabi Government has bailed out Dubai on a couple occasions in 2009 and then again rolling over Dubai’s debt in 2014. The reason the world’s tallest building is called Burj Khalifa and not the original Burj Dubai is because of the money Abu Dhabi put up. At the time Abu Dhabi was after Emirates as well. A takeover of Etihad by Emirates could well be considered a thank you for Abu Dhabi’s recent largesse. Zack – Never underestimate the value of reduced capacity. That would be hugely helpful to Emirates. The thing is, Etihad won’t implode. I would generally agree with that strategy in a normal market, but the government isn’t going to let Etihad die. So an acquisition is the only way to really eliminate it. That or oil plunging to $5 a barrel. DWC is in Dubai, but less than five miles away from the Abu Dhabi border. Admittedly knowing little of the situation and local politics, I would be tempted to suggest a compromise whereby DWC is split (in terms of name, ownership, control, whatever) between Abu Dhabi and Dubai, or where a direct land corridor to part of DWC is given to Abu Dhabi in exchange for Abu Dhabi giving other land to Dubai. Assuming that the egos could be managed for an Emirates/Etihad merger, and assuming that the powers that be did agree in principle to make DWC the primary hub, what to do with DXB and AUH becomes the big political issue, I would think, to keep the respective governments from twisting the airline’s arm to provide more direct service to their “local” airports. For those, maybe you go with a perimeter rule (like LGA has), or perhaps you tax the snot out of departures/arrivals at DXB and AUH (in order to pay for the super duper bullet trains or whatever from DWC to Abu Dhabi and Dubai, preferably ones with private cars for those travelling first class). 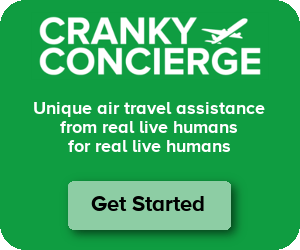 I’m with Cranky, though, I doubt this will be worked out until it absolutely has to, simply because of the egos involved. Cranky never met a merger he didn’t love and never met a startup proposal he didn’t laugh at. Why couldn’t they split operations between DXB and AUH and forget about Mirabel? Emirates is better off letting Etihad wither on the vine. It gets a lot less grief than trying to swallow, integrate, and deal with the political repercussions of acquiring Etihad. There might be just as many political repercussions of letting Etihad wither on the vine. That’s what happens when airlines become tools of the state. I’m not sure what EK gains from merging with EY unless they were able to consolidate at at single airport. The average stage length and relatively low frequency for most destinations doesn’t lend itself to a split operation. Especially given how both carriers are dependent on connecting travel. Maybe if the new airline used DXB like ICN with all nearly all wide-body service and AUH like a beefed up GMP and acquired a lot of 737’s and A321’s for more efficient short haul service. I cannot imagine it’s efficient to fly routine sub 2,000 nm trips on 777’s and A380s. But then they are going to run into politics that AUH is now subpar compared to DXB. But if they keep them both the same they are flying ULH’s all over the world to 2 airports within 75 miles of each other both with relatively minimal O/D demand and virtually no synergy is gained from the merger. I know that the UAE is the “crossroads of the world” and all that but my crystal ball says there isn’t really enough growth potential to support a combined carrier at a new mega hub in DWC. Seems like the type of proposal that gets going at a peak market. Where is the equivalent to Godzilla on the map above? Patrick – I was really thinking hard about what I could put in between, but I kept coming up empty. Sand. Lots and lots of sand. Aladdin? On a flying carpet? Interesting. Abu Dhabi has a lot of oil, Dubai doesn’t have very much oil. So, Dubai needs other ways to make money. Hence the building of all the large buildings, malls, and tourism infrastructure. The other oddity there (at least compared to the US) is that the line between private and public is blurred. Emaar, which is a huge developer in Dubai (they own the Burj Khalifa, the malls, etc). is partially government owned. While, I’m sure that EK was heavily government supported in the beginning since no airline could ever ramp up like they did in that time frame, it’s also true that EK needed to become profitable at some point. Merging with EY and combining their operations at DWC would probably increase profits substantially. The only thing to me is that DWC is out there. You really feel like you have left Dubai when you see the highway signs for DWC. I saw the signs when I did a desert safari last year and you were well out of town at that point. I wonder if that’s how it felt when DFW was built in the 1960’s and 70’s? To me, it kind of feels like DEN, as in it’s way the heck out of downtown and you have to take a couple freeways just to get there. Dubai was built upon trade (and smuggling) centuries before Emirates was even dreamt about, Visiting the old souks in Deira is a great reminder, and there is fascinating mix of people from all around the region still, though naturally, and somewhat sadly, the main action is not there anymore. Setting up Emirates was part of the 1980s strategy to diversify from being a regional trading hub into being a global trading hub, driven by that lack of energy resources. Emirates providing the arteries to move people, and importantly creating the need for the new infrastructure for business and visitors. I remember when DXB was on the edge of the city and the desert started a few hundred yards west of The Creek where ‘Manhatten by the Gulf’ now lives. One of the ways Emirates got going was through DNATA which had a monopoly of all travel services in Dubai, for instance for a long time airlines could not sell tickets directly to locals except via DNATA. This and airport services minted money, and they have long since gone global, though DNATA is now a subsidiary of Emirates Group. DNATA manages to go way under the radar and is the one part of Emirates which is could be looked at as being anti-competitive. It is fascinating comparing the fortunes of the old Gulf financial centre and transport hub of Bahrain with the similar Dubai. If one looks historically, “parallel” mergers like this (where the main reason to merge is to eliminate a competitor and reduce duplication) have rarely worked out well in the transportation industry. There have been a few (the Atlantic Coast Line/Seaboard Airline railroad merger is one), but they usually end up like Penn Central, a complete disaster. This is mostly because of employee-related issues. The proposed Delta / US Airways merger would have been a parallel merger had it occurred, and would have been an unmitigated disaster in my opinion (which could be very wrong, but since we’ll never find out, it doesn’t matter. It’s simply offered as an example of a parallel airline merger). BUT … in this case, it’s probably the right thing to do. The biggest factor, labor, is something upon which I really can’t comment, since I have no clue about how that issue is handled over there. But I’m thinking that’s part of the political equation. The redundancies are overwhelming and should be addressed. But as was mentioned in the piece, the logic of the situation will probably be overwhelmed by ego and politics. That’s human nature. IAG (British Airways/Iberia, now plus Vueling and Aer Lingus) is hugely successful. That’s because of excellent management and control of costs. And the fact that long haul BA (and EI) is focused primarily on North America and Iberia on Latin America. So there’s not as much route duplication as one would think. Air France/KLM is suffering. KLM is doing fine but the big sister south is beset with problems and a mess and is dragging the whole company down. On the other point. It’s not just nationalism and politics keeping the brands separate. Apart from EU and EU-US Open Skies there are very few open skies relationships with other countries and the EU (or more accurately the ECAA). They’re still bilateral air service agreements with the individual countries and only allow airlines registered in those countries to fly international. For example, separate bilateral agreements between China-France and China-Netherlands. If Air France and KLM merged into a true single airline (a la the US3) it would have to be registered in either France or NL, and then couldn’t fly to/from the other country and China. The EU is trying to get these bilaterals changed so they allow all EU registered carriers but progress has been minimal. (I’m using China as a hypothetical example. I don’t know if the EU has managed to get those agreements changed. If they have there are many cases where they haven’t). That of course (those bilaterals) wouldn’t affect Emirates/Etihad as they are handled between the entire UAE and other countries. DesertGhost – This is the UAE, there no employee rights or issues. Management will just do whatever it wants and employees can take it or leave it. First, I just want to appreciate the oddness of considering low fuel prices a bad thing for an airline. Second, the comment about getting people from DXB and AUH to DWC. Isn’t that the sort of thing the Dash 7 was designed for? The Economist magazine has a story on this exact topic, of a merger. They seem to like big capital projects there…. how about high speed rail? Low oil revenues mean that airline losses can’t be underwritten by the government. As it stands, DXB and AUH are 72 miles apart; DWC is in the middle between them, so it’d be like flying BWI to IAD, IF you didn’t have to go through much or any traffic to get to your destination on a road. By the time you load even a smaller plane like a Dash 7, taxi to a runway, fly, and land, it’d almost certainly be quicker to fly – ESPECIALLY since the only reason you’d fly that would be to make a connection, and factoring in moving bags off the plane and onto the widebody would make things worse than just driving. Potentially, a high speed rail (which the Emirates have flirted with doing); an extreme version might be a high-speed rail/airport train combo, where you can take a “sealed” train between, say, DXB (if it stays open) to DWC the same way you can between terminals in other airports. You could also add stops at a central station in Dubai or Abu Dhabi, your bags get screened then go on a baggage car (which actually achieves the “Holy Grail” of airport security – keeping say, a bomb in a bag out of the airport entirely), the onwards to the airport. I like the idea of “sealed” trains from city centers to airports, especially for metro areas where there aren’t many people going to/from the suburbs, and a few stops near the city centers could capture many of the travelers. A more autocratic state like those in the UAE could even use sealed trains to help reduce the from hotel/office door to flight departure, by guaranteeing (in conjunction with the airlines) that if pax are on the sealed train from the city center that departs at X time (or if pax are in the security line for the sealed train by Y time), they will not miss their flight… Theoretically, that could get pax to the gate just before boarding began, with a minimum of waiting time and without the need to allow extra time for the risk of traffic and airport security delays, saving perhaps an hour or two of time. However, that would take a lot of coordination and money, plus reduce airport concession revenues and undercut many established business interests, so I really doubt whether the time savings for pax would be worth it, and absent an extreme event or very dedicated powerful government I can’t imagine this being implemented. While Emirates and Etihad may grab all the headlines for their noteriety, the UAE also has two other airlines. FlyDubai at DXB and Air Arabia based at Sharjah. And SHJ is also just 10 miles east of DXB! While the latter two airlines are low cost carriers, they both have fleets of over 50 airplanes and carry decent numbers of passengers as well. Given the geography of the UAE, the Eastern half or Europe to the Western half of Asia are all within range of their planes. I have often wondered why these carriers remain under the radar (especially Air Arabia) in terms of reporting. They must siphon off some of the business of their bigger well known siblings. Especially for EK, who only flies widebody jets into regional destinations, can’t the LCCs be eating into some of this business?.Wouldn’t a solution to consolidation include these carriers as well? Not to mention they all must fight off regional rivals in the Gulf, including the formidable Qatar and lesser carriers Oman, Kuawit, Saudia, etc. Ethan – Absolutely, and Emirates and flyDubai have already been cozying up thanks to the government’s demands. A merger isn’t necessary, but having this kind of cooperation should be really important. As for Air Arabia, it’s interesting because only in the Middle East could a 50+ aircraft fleet be considered insignificant. But sure enough, it’s just a minor player in the scheme of things, as is Sharjah.